The search is on for a man who impersonated a police officer in the South Bay. 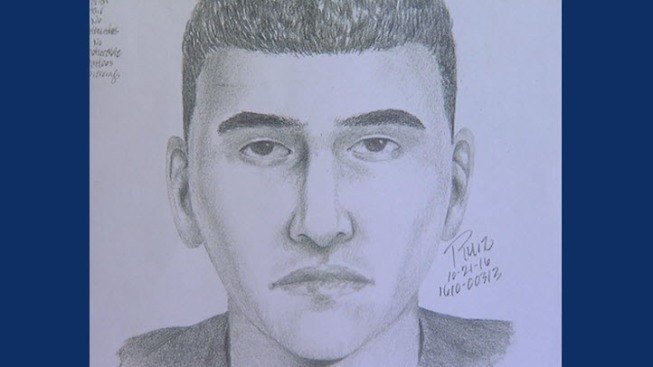 Campus police at Foothill-De Anza Community College have released a sketch of a man who claimed to be an undercover cop. The suspect on Wednesday night attempted to lure a female student into his car. Police belive the man is in his early 20s. "We're taking it seriously and investigate all the leads we have," De Anza Assistant Police Chief Danny Acosta said. Police are now asking for the public's help to find the suspect. The man was last seen driving a newer model black BMW with tinted windows when he approached a student walking to her car. The suspect told the woman he was an undercover officer and that she should not be walking alone at night, police said. The woman ran away after the man threatened to give her a ticket for ignoring his order to get in his car. "He was aggressive with his words and she also saw two other people in the vehicle," Acosta said. "So she was really uncomfortable." Police are reminding students that legitimate officers will carry identification and a badge. And if students are still not sure, they should call 911. Some students on campus said they are now taking extra safety precautions after the incident. "It kind of woke me up a bit because I assume the school I'm at is always safe," student Brittany Do said.